Our first volume featuring the amazing work of Dean Blotto Gray, Neil Hartmann, Carlos Blanchard, Cyril Müller, Daniel Blom, Jérôme Tanon, Matt Georges and Thomas Stöckli. Enjoy the work of these fine folks like you've never seen it before! 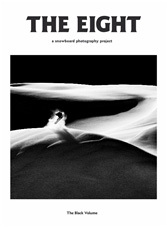 Download the free pdf and support the project by purchasing the awesome premium printed version. Check it out!